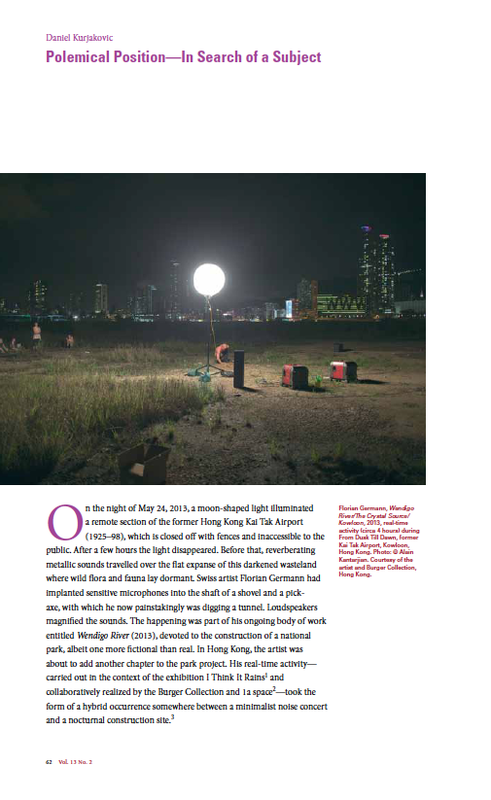 Article in Yishu magazine’s March/April issue delves into Burger Collection’s exhibition I Think It Rains and examines the thinking behind exhibitions of contemporary art today. Exhibition-making today is affected by an ever-growing number of concerns and contexts, giving rise to the question: What is an exhibition’s actual subject? The special Yishu 61 issue is dedicated to the Asia Art Archive symposium Sites of Construction: Exhibitions and the Making of Recent Art History in Asia, which took place in Hong Kong from October 21 to 23, 2013. Speakers and respondents invited to this session included Iftikhar Dadi, Annette Bhagwati, Atreyee Gupta, and David Teh. This entry was posted on March 3, 2014 by Burger Collection. It was filed under Uncategorized .